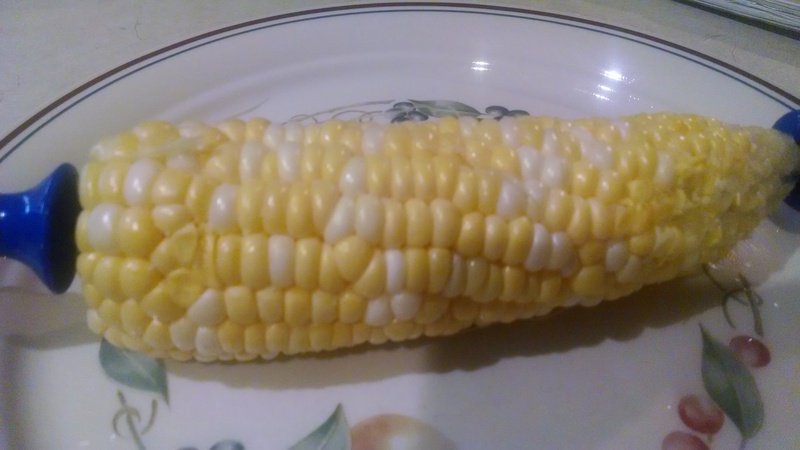 My darling husband ran to the store for me the other day and came home with an unexpected half-dozen ears of sweet corn. I guess it had been in sale for a dollar and he knew how much the little guys and I liked it. Such a sweetheart! Now comes the question of how to cook it. I can’t fit the usual oversized stockpot into the solar cooker, and I certainly didn’t want to microwave it if I could help it at all. I decided to try stacking them in water in our cast iron pot with the lid on and letting them steam for an hour. Rating: utterly delicious. I can’t believe I used to put butter on such sweet tasting corn. We ate all six ears for lunch and my son is begging for more! I’m glad cooking corn in the solar cooker is so easy!